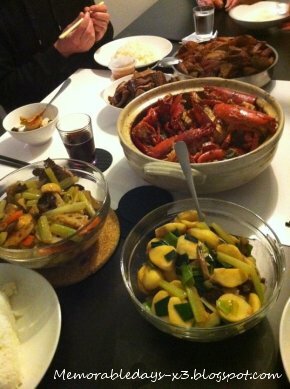 Lovely Christmas Dinner | Memorable Days : Beauty Blog - Korean Beauty, European, American Product Reviews. Did you all had a nice Christmas? And of course my baby nephew was there as well ^__^. 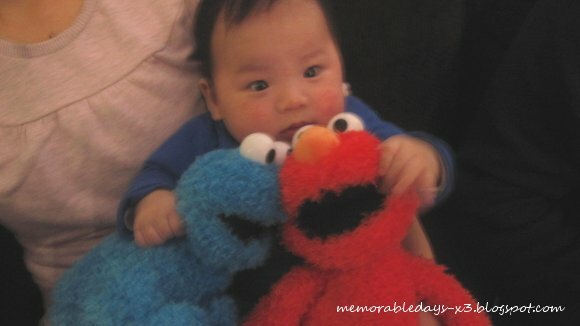 My sister bought Elmo and Cookiemonster from Sesame street for him. Isn't he CUTEEEEE =D? Aw your nephew is so cute! He likes cookie monster and elmo. too cute! aw well i understand why~ he's so cute ^_^! @Mei, happy holidays^^!! No I'm chinese/hakka. But I can speak cantonese fluently as well ;) and you? Omg too cute XD I wish I had a nephew like him!